Because the winner is… Bangkok! That’s right, the Thai capital narrowly edges out London, and is the first Asian city to top the poll since its inception three years ago. With an estimated 16 million arrivals, London came top last year in large part due to the Olympics, and still seems to be riding high on the back of the well-received sporting event, coming ahead of New York with 11.5 million visitors estimated for 2013. 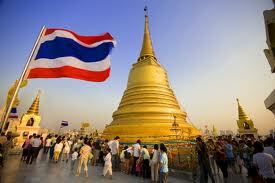 I have visited Bangkok 5 times in my life. The place has attracted me most. I want to visit there again. Can you mention about the best hotels in the city?